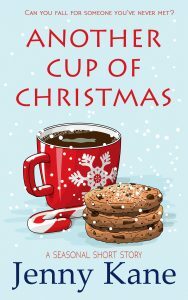 Comprising of my three previously published novella length sequels to my debut novel, Another Cup of Coffee (- Another Cup of Christmas, Christmas at the Cotswolds, Christmas at the Castle – ), Jenny Kane’s Christmas Collection is available in both e-book format – and will be available as a paperback very soon! 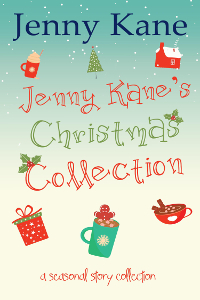 Jenny Kane’s Christmas Collection combines all three seasonal shorts from Jenny’s best-selling Another Cup of … series in one festive anthology. 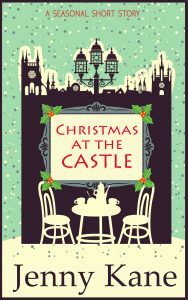 In ‘Another Cup of Christmas’, we return to Pickwicks Coffee House in London, the setting for Jenny’s bestselling novel Another Cup of Coffee. Together with old friends Kit, Amy, Scott and Peggy, we meet new Pickwicks waitress Megan, who’s in charge of organising a charity event for the local hospital…is romance as well as seasonal goodwill in the air? 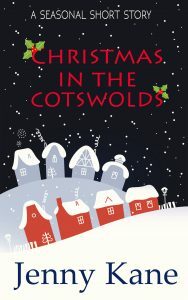 ‘Christmas in the Cotswolds’ sees Megan, now an established face at Pickwicks, travelling to the beautiful Cotswold countryside after an emergency call from her friend Izzie. Can Megan help Izzie pull off the perfect Christmas at her Arts and Crafts Centre – and save the business from disaster? Each novella is deliberately short, so that you can fit a peaceful moments reading into your busy Christmas preparation schedule. Either Another Cup of Christmas, Christmas at the Cotswolds, or Christmas at the Castle, can be easily consumed in one delicious ginger and nutmeg flavoured mouthful at a time! Having politely escaped her third ‘So what are you doing for Christmas?’ conversation of the day, Megan Johnson was retreating back to the counter when she spotted Pickwicks’ most regular customer sit up from her work and brush a stray red hair from her eyes. Knowing it had been at least half an hour since Kit’s caffeine addiction had been attended to, the waitress swiped up the percolator jug and headed in her direction. Spoil Yourself With An Afternoon of Pickwicks’ Finest Festive Fare. In Aid of the Royal Free Hospital’s Spinal Ward. Saturday 22nd December from 2pm. Deluxe Buffet And Festive Fundraising Fun! Book your place at Pickwicks Coffee Shop, Richmond – NOW!! ‘Nice, is he?’ Kit gently teased the petite blonde waitress, wondering, not for the first time, why someone as kind and pretty as Megan hadn’t been snapped up years ago. I hope that snippet has tempted you into taking a look at my coffee loving, friendship enhancing, romance brewing, mulled wine sipping, stories.